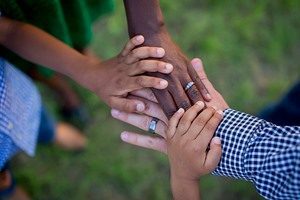 According to recent statistics, 40% of the married couples with children in the US are forming blended families right now and that 1 out of every 3 Americans is either a step parent, a step child or in some way, included in a blended family. If you are a parent or step parent in a blended family, I can imagine how confusing and stressful it is sometimes. But don’t worry because there are a number of ways to make it work. 1. Know this by heart – those children are a part of your partner. Your partner comes with a past, and children always come first. Never compare, compete or feel sidelined. Instead, appreciate your partner’s treasures and find ways to connect with them. 2. Focus on connection and not correction. Speaking of connection, remember that as a step mom/dad, your role is to establish a positive relationship with you stepchildren. It’s better to let the primary parent enforce discipline for his/her own kids. 3. Find activities to unite the whole family. Look for activities that will not alienate any member of the family. These should be activities that both step parents and step children can do together. It may be hard to find something to do that everyone will love but I’m sure you’ll find a way. You can compromise, take turns or do something new for everybody. 4. Form a special bond. You need to be the one to initiate a connection and not your step child. Aside from the quality time you spend together as one blended family, make sure to also spend alone time with your stepchild to form your own special bond. And at the same time, allow your partner to have his/her own special bond with your kid as well. These special moments remind the children that they are valued, appreciated and loved tremendously despite of all the changes in the household. 5. Support the children in their transition. Transition days can be very physically and emotionally stressful for the children. So make sure to offer support during this tough time. When things get overwhelming and frustrating (which is normal), it’s important to have someone to listen to you without judgment. Look for someone outside your family to get support from, whether it’s a friend, neighbor, or another step parent who can relate with you. To sum it all up, blending a family successfully is not easy and won’t happen overnight. It takes time and it’s one heck of a rocky road, so just be patient because things will work out eventually, and it’s going to be worth it. This entry was posted in Children, Conflict Resolution, Extended Family, Family, General, Love and Marriage, Parenting. Bookmark the permalink.